Every member of a Traditional Cut Roof is individually cut and assembled on site. The overall construction of a traditional cut roof is to ensure that the load of the roof is evenly transmitted to the walls below. 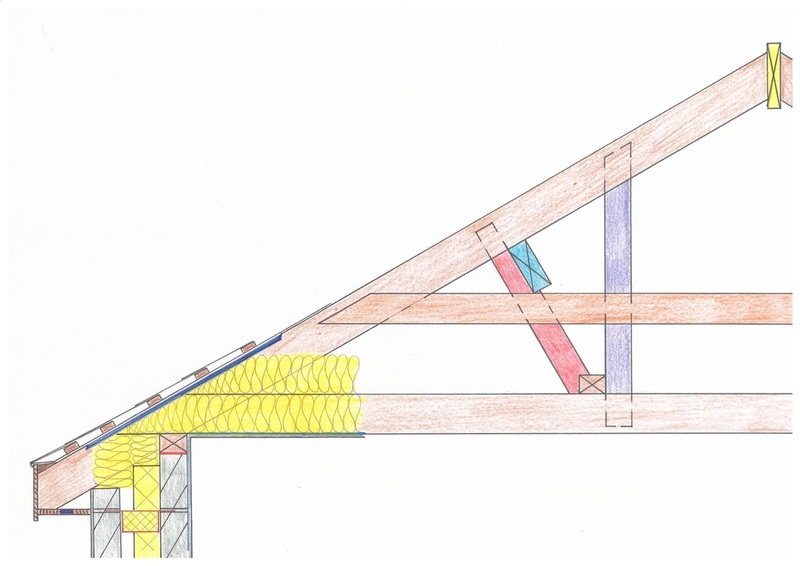 The rafters are supported by purlins, which act as beams providing support to the rafters. The purlins are supported by struts, which in turn are supported on an internal load bearing wall. 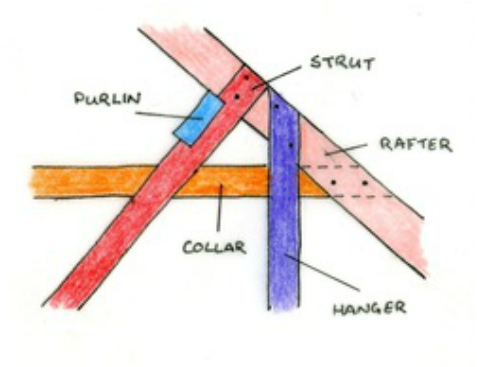 The collar ties are used to connect the rafters, preventing them from spreading outwards. 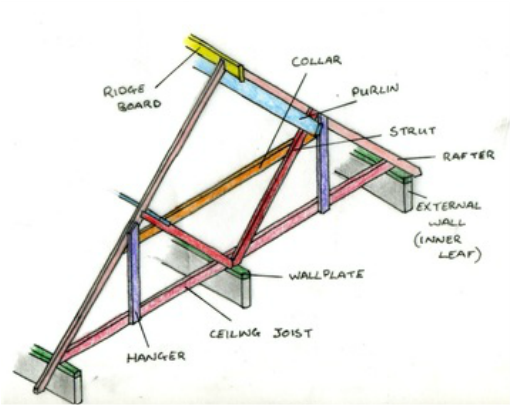 The collar ties and hangers are used to improve the overall strength and stability of the roof. This video shows the most effective approach to drafting the detail drawing of a cut roof.